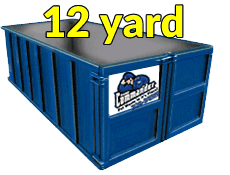 The 9 and 12 yard bins are most commonly requested. They can serve the almost any household job. 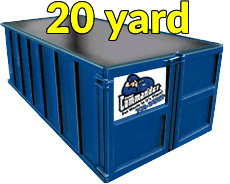 If you’re clearing out a larger garage or a basement, putting on a new roof, remodeling a small kitchen or bathroom, adding or removing a patio, a mid-sized dumpster is likely a good fit for your project. 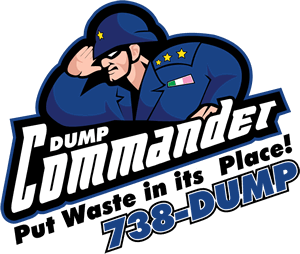 homeowners tend to use these dumpsters for their major remodeling and other large home renovation projects. if you’re adding an addition to your house or clearing out grandma’s attic, a larger bin might be the right fit. 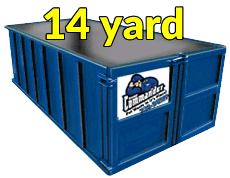 if you’re still not sure what size dumpster you need, give us a call! plus landfill fees and $67.60 per ton, for landfill fees plus tax. For remote locations outside St. John's additional transportaion fee will apply. Metal recycling such as hot water heaters will be an extra charge. The rental is for up to 5 days. If you want to keep it longer there is a fee of $20 per each additional day.